This flower is 18 to 24 inches tall. The bloom of 4 golden-yellow petals is about 2 inches in diameter. 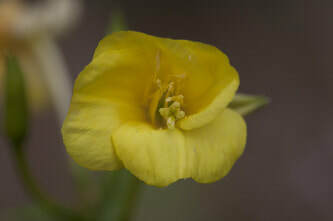 It has 8 yellow stamens and a long stigma with 4 cross-shaped lobes. the stem is tall stalked and lightly pubescent. 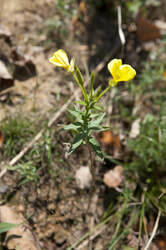 The leaves are alternate and elongate, 2.5 inches in length, and narrow. The flowers open during the day and close at night. 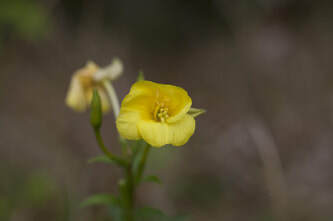 Unlike other members of the Oenothera species, these flowers are open during the day. This plant flowers May to September. 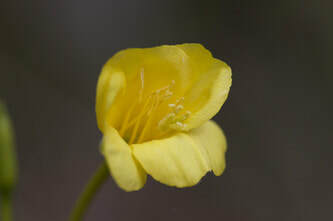 It is found in mostly rocky places in thin woods or open areas.